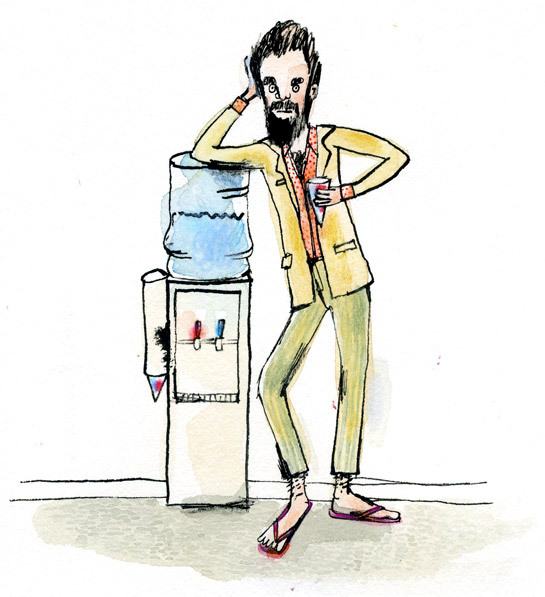 “Even sago, used to exess, may cause harm.” Illustration by Quentin Blake, from Thoughts and Aphorisms from the Fruits of Meditation of Kozma Prutkov. 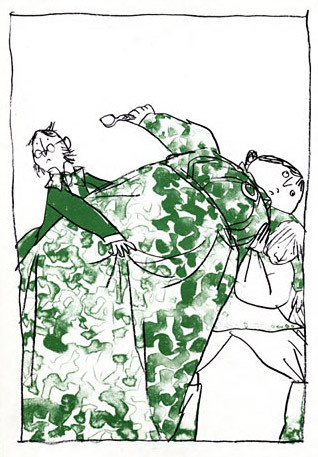 If anyone ever wants to buy me a wonderful and expensive present, I suggest a copy of Thoughts and Aphorisms from the Fruits of Meditation of Kozma Prutkov, a rare pamphlet illustrated by Quentin Blake in 1978. This post is not about the ever-wonderful Mr. Blake, however, but about quotations and maxims. I write my own stories, which is sometimes great (more freedom!) and sometimes burdensome (more freedom!). In the worst cases, fiddling around with a piece of writing sometimes keeps me from getting to the illustration part. So I think it’s good to start with someone else’s words, sometimes. All the better if they’re anonymous, or plain, or never meant to be illustrated. Proverbs. Instruction manuals. Bits of folk wisdom. These sorts of texts are appealing to illustrate because they leave a lot of room for interpretation. The way Quentin Blake has it, the text and illustration are a comic duo in which the aphorism plays the straight man. 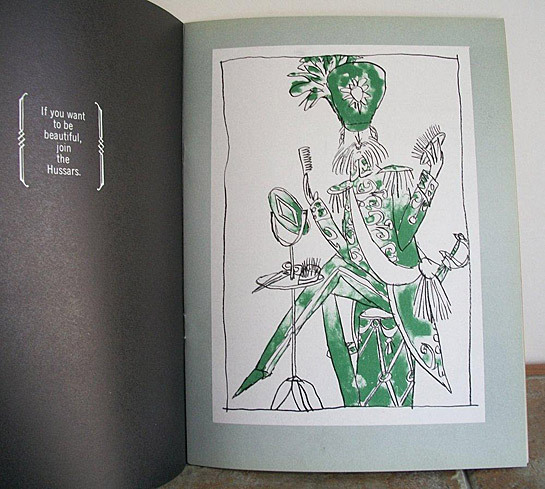 “If you want to be beautiful, join the Hussars.” Illustration by Quentin Blake. The book shown above does not belong to me, alas. Photo from the bookseller, Roger Middleton. 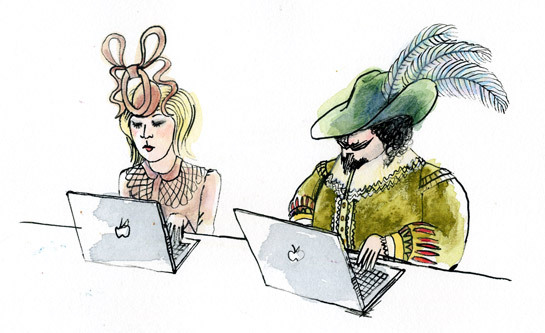 Are hats appropriate in the workplace? *People. I am not one of those pajama-wearing savages. PLEASE.